A solid practice combo for beginners and pros alike. The Promethean 20W bass combo from Ibanez comes loaded with a single 8-in. driver, and simple controls for any level of player. The 4-band EQ allows for easy and nuanced tone shaping, the -10dB pad accommodates basses with active pickups, the aux. input lets you play along with your favorite tunes, and the headphone output allows you to practice silently while still having great, smooth bass tone in your ears. 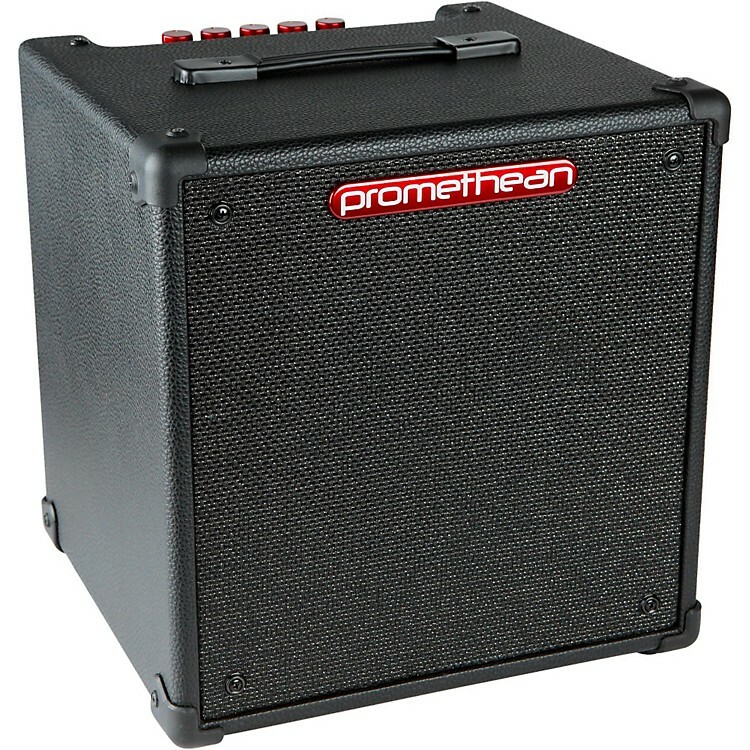 And, weighing in at just 17 lbs., the Promethean 20W 1x8 combo is a highly portable and versatile option for any players who are honing their craft, or experienced bassists who want a solid practice rig. Dimensions: 12.9 in. x 13.78 in. x 12.2 in.